There are two questions remaining from the list set forth in part one. These are, why did Mary say, “Whatever He says to you, do it”; and most importantly, and actually the thrust of this entire writing, what is the prophetic significance of the water being turned into wine? But before we address these, there is a two-part question regarding the six stone waterpots that cries out to be answered. We have already seen the significance of them being two or three measures in volume, but why were they made of stone, and what is the significance of their use for purification? People are often likened as stones in the Scriptures (1 Peter 2:5, Revelation 21:14), as well as Yahshua Himself (Matthew 21:42-44). 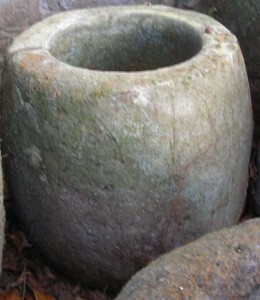 Additionally, there were specifically six stone waterpots. The number “six” is the number of man. Thus, the trinity, 666, is complete man who ascends alive. So, the six stone waterpots speak of man. Simply stated, Yahweh is going to perform a work in and through man. Regarding purification, we have already seen that the two-or-three-measure waterpots used for purification are identical in testimony to the two-or-three-measure sea/laver in Solomon’s temple. Also, we noted that the water coming under the eastern gate in Ezekiel 47 has its origin precisely where Solomon’s laver was located. Of course the eastern gate speaks of Immanuel’s coming. It is quite interesting and significant that the eastern gate was to remain closed for six days, but opened on the sabbath (and on the new/full moon, Ezekiel 46:1), which is a flip concerning gates at that time. Normally, they were open six days and closed on the sabbath to keep people from laboring. So what does it mean for the water to begin flowing before the gate is even opened, before the sabbath? To get to the point, those waters began flowing in June, 1994, when the Spirit came upon me and began revealing Bride truth. That was fifteen years before the Millennial sabbath. Therefore, the waters of purification began early, flowing under the gate in order to begin to prepare the way for Immanuel. Those waters immediately began purifying the understanding and knowledge of the kingdom of God. No man before those waters began flowing had ever seen these marvelous truths. And as with those waters in Ezekiel, they have become deeper and deeper until they are now to our loins. These are the waters that will not only bring truth, but purify the Bride and others with moral virtue and obedience. It is not without significance that the beginning of Yahshua’s ministry as recorded in kingdom John evidenced back to back testimonies of purification—the six stone waterpots used for purification, followed by Yahshua cleansing/purifying the temple of the moneychangers. The latter, of course, is moved all the way from the end of His work to the beginning in John—prophecy. Purification will clearly be a part of the latter rain as the preacher of righteousness is sent forth before the ever-increasing flood of the Spirit that will cover the earth. This purification is also the Rizpah, the burning coal (Isaiah 6:5-7), that cleanses the lips of men so that they can and will speak truth and not evil. This purification is equally evidenced in the two-Remnant testimony seen in Elijah. When Elijah hid from Ahab, in 1 Kings 17 we read that he first stayed at the brook Cherith where the ravens fed him, followed by a journey to Zarephath where he was fed by a widow. These two testify of the first and second Remnants. Like the wine at the wedding at Cana, the water ran out at Cherith, and the best was saved until last—the miracle of unceasing provision at Zarephath. Equally, Bride truth has been an unceasing miracle provision. Let us now consider the exceptionally relevant meanings of the names of these former and latter locations. “Cherith” means “to cut or divide, as in a covenant.” Without question, this is precisely what happened to the two Remnant. They are the cut/divided covenant parts laid out for the body of Christ to pass between. MOST telling for us today, “Zarephath” means “purification with fire.” This is the purification that the stone water pots; the temple cleansing; and Rizpah, the burning coal from the altar, speak of—the purification of the second Remnant before the coming of Immanuel. As Yahshua declared exclusively in second Remnant Luke 12:49, “I have come to cast fire upon the earth; and how I wish it were already kindled!” (This is addressed in a most revealing and compelling manner in The Great Tribulation, page 7.) This is a marvelous hope. In other writings, we have noted that if one wants to know the pattern of the church, then look at the sons of Judah (Genesis 38). Why? In Hebrews 7:12-14, we find that by virtue of Yahshua, the church is of the priesthood of Judah, versus Levi. Therefore, Judah’s offspring reveal the church. We will not linger on this, but as has been addressed, the nature and fate of the three sons of Judah reveals the nature and fate of the 3,000 years given to the church. Judah married a Canaanite, therefore his sons were an unacceptable mix. Equally, the church is an unacceptable mix of good and evil, flesh and Spirit. Because of this mix, when Tamar, a granddaughter of Melchizedek, was given to the first two sons, they were both displeasing to Yahweh and He killed them. Obviously, this is what has happened to kingdom men for 2,000 years. Judah knew that if he gave Tamar to his third son, that son would be killed as well and would then have no posterity. Such is the case regarding the third 1,000 years of the church. As you might suspect, this was a very real problem for Judah, even as it is a problem for the church. Yahshua’s lineage is through Judah, so if that lineage had been cut off, then there would have been no Yahshua. In equal regard, if Yahweh gave Christianity the next 1,000 years, then Immanuel would not come. That is the unmistakable message we find here. If He did not cut the body of Christ’s time short from three to two, just as Yahshua declared on the cross after three hours of darkness, it would be “My God, my God, why have You forsaken us?” So what is the solution? The obedient people. When Judah would not give Tamar to his third son and his own wife had died, Tamar then disguised herself as a temple prostitute and sat by the road. There Judah saw her, and he laid with her. As a pledge that he would give her a young goat, she asked for and received his seal, cord, and staff. Both prophetically and in reality, Tamar received Judah’s rod. In so doing, she brought forth twin sons, and from one of them—Perez—would come Yahshua. So we ask, who was it who made possible Yahshua’s coming? It was Tamar. And what did Judah say concerning her when he found out that she was bearing his offspring? “She is more righteous than I, inasmuch as I did not give her to my son Shelah” (Genesis 38:26). Who then kept the law of Yahweh—Judah, who withheld his third son as the next kinsman redeemer; or Tamar, who laid with Judah, who would have then been the next kinsman redeemer, and brought forth the required offspring? Tamar was the one who was obedient, she was more righteous, and is in fact a type of the obedient people who bring forth Immanuel—the second Remnant. This leaves one final question to be answered: What is the prophetic significance of the water being turned into wine? As has been noted, the wedding at Cana was not Yahshua’s wedding, but the wedding of Elijah to the Bride. This is even moreso relevant in that the wedding at Cana coincides with my own fortieth wedding anniversary on June 6, 2009. When Yahshua’s side was pierced, attesting to the Bride that comes out of the side of the sleeping body of Christ, two things came out—blood and water. 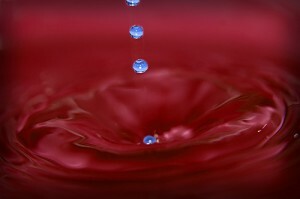 In the writing, Whose Coming Is Through Water and Blood at <http://www.remnantbride.com/water_blood/water_and_blood.1.html>, we note that the water attests to the first Remnant, and the blood attests to the second Remnant. But there is additional significance to this water/blood testimony. As we have noted, Yahshua was the Rod that brought forth the shemen (Hebrew for “oil”) to the first Remnant. But that Rod left, and the office turned into the serpent, Satan. In natural terms, the Rod became flaccid. Today, the second Bride must come on the scene, a wedding take place, and in the natural sense the serpent turn back into the rod, be aroused, become erect. When this takes place, the second Remnant Bride can receive the shemen, the oil that brings forth fruitfulness. The former rain came from Yahshua’s presence, but the latter rain must come before He returns. The former rain came because of the Rod, Yahshua. The latter rain comes because of the rod, Elijah. Therefore, the wedding at Cana must be the wedding of Elijah with the Bride and consummation take place. On June 6, I am meeting with Bride members to effect this wedding of Elijah and the Bride. It is quite relevant that in 2003 when we were unsuccessful in receiving the latter rain upon holding all things in common and I lost my family, I made plans to find a woman to lay beside me. I was hurting beyond measure and deeply discouraged. My plans were to go to Colorado, go fishing, and find a woman to lay by my side. From there, I knew I would end up in Dallas on the streets where I used to help feed the homeless. But I prayed that Yahweh would keep me from going fishing, and He did. I received an offer to go to New York and help a Bride brother on a project, and I took it. Today, it is most interesting that when I recently wrote about the dream I had where I searched for my wife but could not find her, and turned around to find a woman dressed in a long linen dress who responded to me in a wifely manner, two Bride brothers independently replied that they would be that responsive Bride. Both of them live in Colorado. Shortly after, it dawned on me that after six years, what I had made plans to do in pain and disappointment, I was receiving—I got my Colorado bride! Before realizing this, I was feeling discomfort in not knowing what to do regarding June 6. That is when I realized that Yahweh had given me that which I had desired when I lost my wife and family, and the answer was to go to Colorado and have a wedding with these two men, who of course represent the whole of the Bride. There are other affirming evidences regarding this matter of Colorado. I married my wife on June 6 in Lubbock, Texas, and that afternoon we traveled to Amarillo. However, on our wedding night we did not consummate our marriage. It is most interesting that the next night, June 7, we were in Colorado Springs, Colorado, and in Colorado we consummated our marriage. Here is yet another testimony regarding Colorado that is quite interesting. When I lived in Austin, Texas, I fellowshipped with a man who knew John Denver. And by the way, Denver went to Texas Tech University in Lubbock where I attended. Of course he later lived in Colorado, and before that took his last name from that state’s capital. This man that I knew in Austin was John Denver’s best man at his wedding. I now go to Denver for a wedding. Another thing concerning Colorado is very noteworthy and hopeful. My hope regarding this is once again, “That which has been is that which will be.” I am called to be an intercessor, and I hope what I will share was an effectual and telling intercession. In 1992, we planned to take a family vacation in Tres Ritos, New Mexico. But one evening, I told my wife that I knew that was not the will of God. She asked me what was His will, and I realized that we were to just get into the van and He would show us were to go. As the day drew near for our departure, I knew we were to go to the area of the San Juan Ranch outside of Creede, Colorado, where I had once gone with my family as a young boy, and rent a cabin. So, when the day arrived, we got into the van and headed for Colorado. We arrived there towards the evening, and the first cabins we went to were not acceptable, the second place was full, and we then went down the road to the last of the cabins. By then it would soon be getting dark, and we did not have any bedding for a cold Colorado mountain night, especially with a new-born baby. This third place was very nice. When we asked if they had anything available, it just so happened that someone had just canceled and they had this beautiful cabin with a loft available, but it was far more than we could afford. When I said something about this, she gave me a lower price. I was going to accept it, but gratefully she interrupted me and asked if the girls could sew. My girls sewed all their clothing, which were long dresses, and they all wore headcoverings, so what would one expect? I said yes, and with a little sewing bartering she cut the cost of the cabin in half. Without a doubt, this was the most wonderful vacation our family ever had, and we got there by obeying Yahweh, and trusting Him to direct us where to go. And in the passing over principle we received a beautiful cabin that was beyond our means or expectations. We also found a very unique place to fish for trout at the headwaters of the Rio Grande, and during the few days we were there caught over sixty fish. It was also there that a raven literally danced a jig right before me on a large rock! And, the lady enjoyed us so much that she offered us to stay longer at no cost. We would love to have done so, but had to get back. Again, this was without a doubt the most wonderful trip and vacation we ever had, and it was a return to the San Juan, Saint John, area near Creede, Colorado. A creed is a covenant, which we seek to evidence and to see evidenced, even the covenant with the many. I can relate ENTIRELY to that trip relative to my walk in the Bride, and hope it was an intercession, a snapshot of my walk, ever trusting Yahweh to lead me. He has indeed led me in the way to go, and once again it has taken me back to Colorado. There, I hope to find the John kingdom, the covenant, and the headwaters of the Rio Grande, the Great River. There, I hope to have the most enjoyable experience I have ever had in my life, and I hope the same for others as well. There, I hope we have a wedding made in heaven, and that my union with the Bride will be consummated, at least in legal right of receipt, even as it was with my natural wife forty years ago in Colorado. There, I hope the raven dances on the rock! What then does it mean for the water to turn into wine/blood? As one of those two men in Colorado who yielded to me as a Bride commented, the water turning into blood is the same as when a marriage is consummated with a virgin bride. The veil of the hymen is rent, and what has been the source of water, turns into blood. Turning water into blood is the conjugal consummation of a marriage with a virgin. This is what was evidenced when Yahshua went to the cross. And this is what is being spoken of when He performed His first/virgin miracle specifically at a wedding at Cana. This is the miracle we hope will take place and see the evidence thereof on or by virtue of June 6 and 7 in Colorado. The two witnesses in Revelation 11 who are the two Remnant have the power to turn the water into blood (vs. 6). This is the power I hope the second Remnant evidences by gathering on June 6 and 7. This is the power I trust Yahweh has led us to receive after all these years since 1994, and more recently since Trumpets, October 16, 2008. What will we do when we gather for those two days? We will watch and see what Yahweh will do, and have the same attitude as Mary spoke—“Whatever He says to you, do it.” But on June 6 we will present the same covenant testimony before Yahweh that was presented in Genesis 15. I will stand or kneel before Yahweh with the two Colorado Bride brothers, one on my right and one on my left (as did Moses in Exodus 17:11-12). Then on June 7, Yahweh willing, we will go to Colorado Springs where my marriage was consummated with my wife, and I will pass between those same two men, testifying to the covenant. We can do no less! As David danced when the ark returned (2 Samuel 6:14-15), so may the raven dance.